Ezekiel's Valley is a residential facility that serves adult males suffering from homelessness, drugs, alcohol, and/or HIV/AIDS. Minimum six month stay suggested. Service Fees requested upon admittance. They assist with employment and have onsite classes daily. 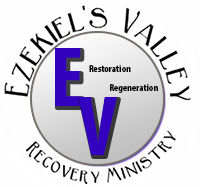 Are you familiar with Ezekiel's Valley Restoration & Regeneration Recovery Ministry? Help FreeRehabCenters.org users find out answers.